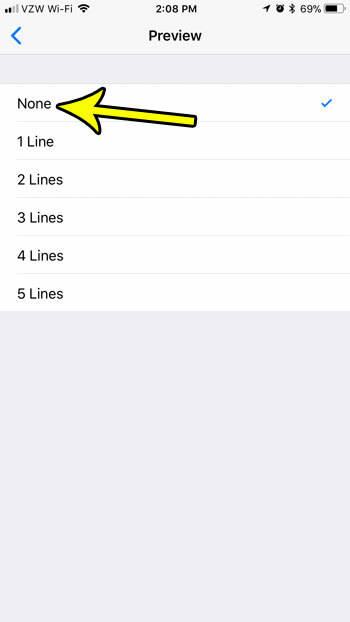 When you open your inbox in the Mail app on your iPhone, you are probably accustomed to seeing a list of the emails in the inbox. Each of these emails displays the name of the sender, the subject of the email, and a couple of preview lines of the message that it contains. This provides a concise overview of all of these messages, and can make it a little easier for you to determine which messages you need to bother opening and reading, and which ones you can ignore. But you may not like the fact that previews of your emails are shown here, or you might prefer to see more messages on the screen at once. Fortunately it is possible to solve both of these problems by changing a setting that will remove email previews from the inbox view in your Mail app. Our tutorial below will guide you to the menu where you can change that setting. The steps in this article were performed on an iPhone 7 Plus in iOS 11.2.2. 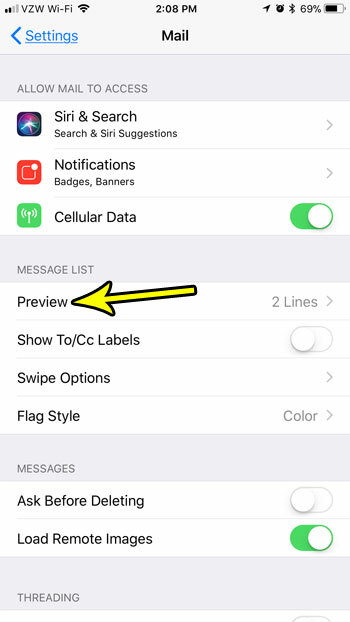 This is going to change the appearance of your inbox when you open the iPhone’s default Mail app. After making this change you will see more messages on your screen at once, but they will only show the email subject, not the previews of the message that they are currently showing. Step 2: Select the Mail option. 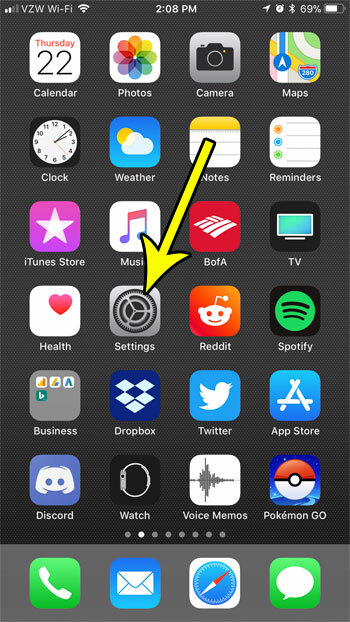 Step 3: Touch the Preview option. Step 4: Tap the None option. Do you have more than one email account on your iPhone, but it always seems to default to the wrong one when you want to type a new email? 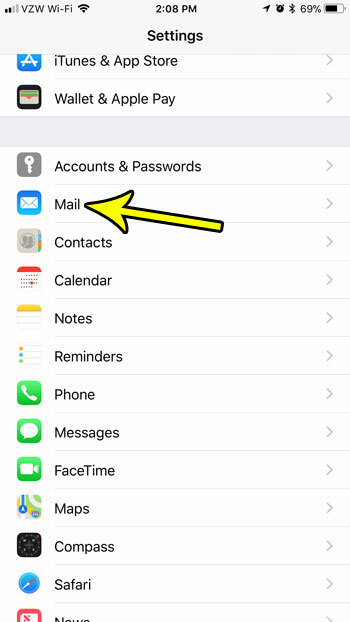 Find out how to set your default mail account on an iPhone so that new emails you create will be sent from a different account by default.